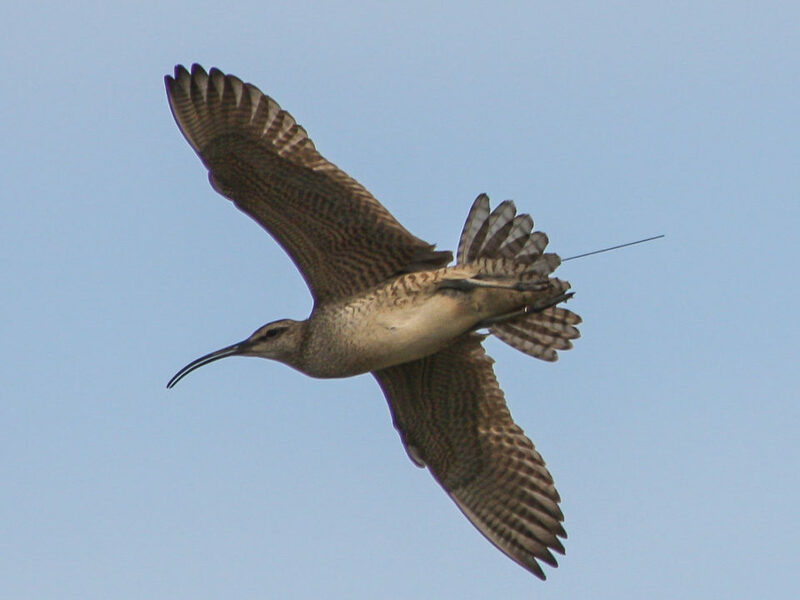 One of the great spectacles of spring along the Delmarva Peninsula is the parade of whimbrel flocks leaving on their flight to arctic breeding grounds. 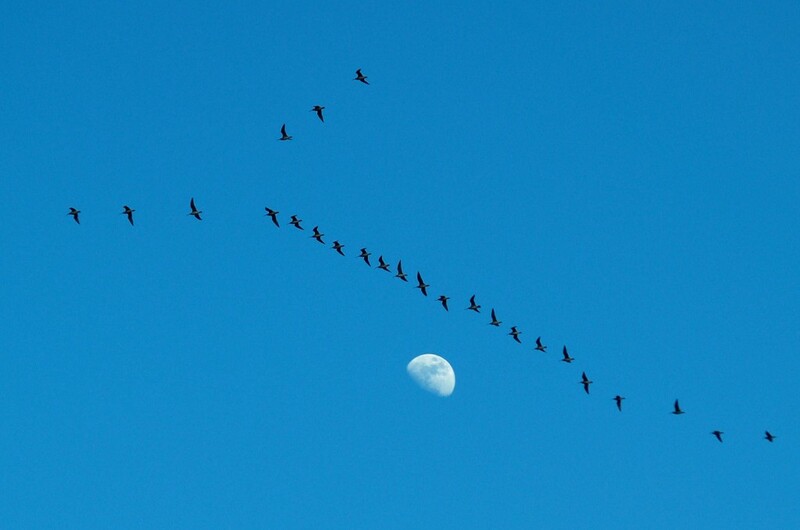 Flocks begin to depart during a 3 to 4-hour window before dusk. The event begins with rallying calls as birds rise up from the marsh and begin to swirl upward and assemble in V-formation. For many of these birds, this is the last time they will touch the earth until they settle down on their breeding grounds thousands of miles to the north. A flock of whimbrel flying over Boxtree Creek heading north to the breeding grounds. Photo by Alex Lamoreaux. 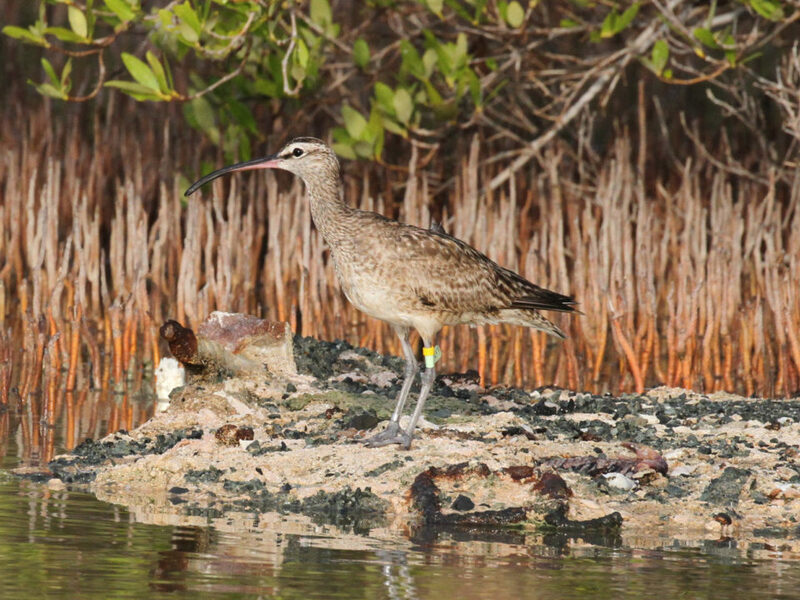 In the spring of 2009, the CCB and The Nature Conservancy initiated a watch program to count whimbrels leaving our primary study area on the seaside of the Delmarva Peninsula. Birds are counted in flocks as they fly north during the last 2 weeks of May. 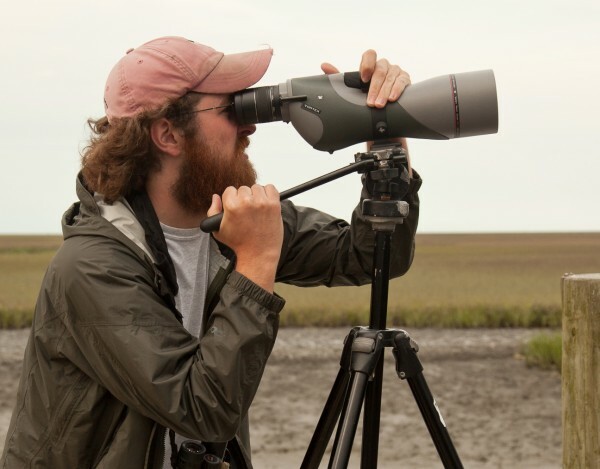 The objective of this effort is to understand the phenology of leaving for birds staging along the Delmarva Peninsula and to make comparisons with birds moving through locations to the north and arriving on breeding grounds. 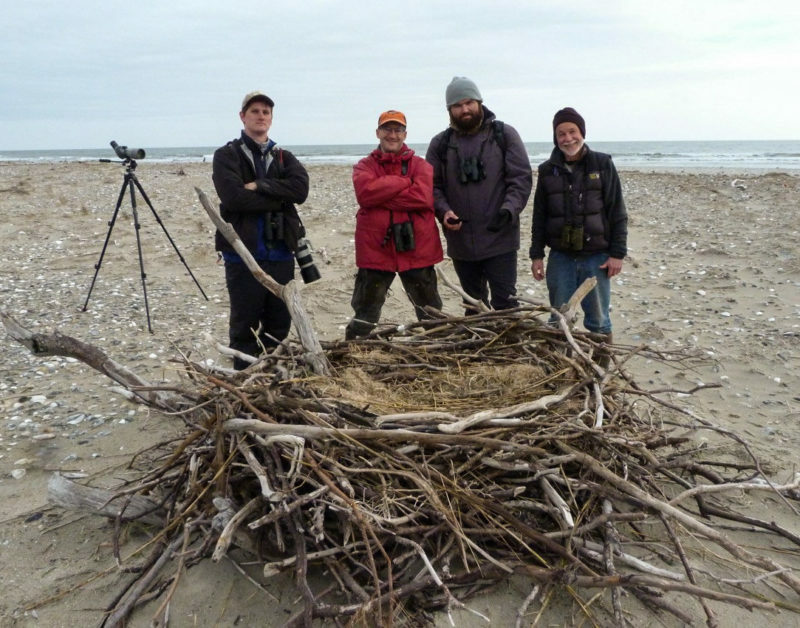 The effort is now synchronized with a similar effort organized by the Toronto Ornithological Club in strategic areas around the Great Lakes. 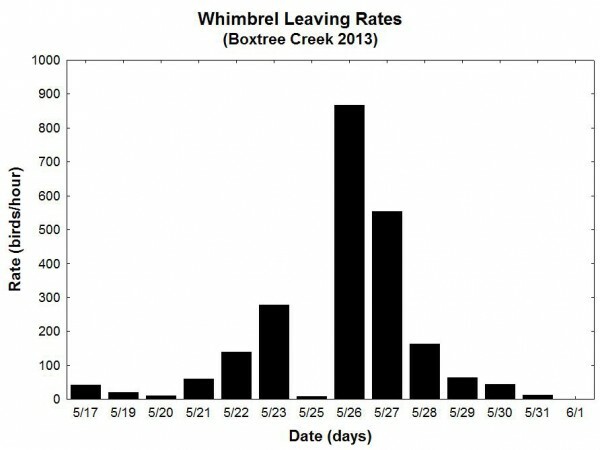 Temporal pattern of leaving rates for whimbrel moving over the Boxtree Study Site. Graph by CCB. 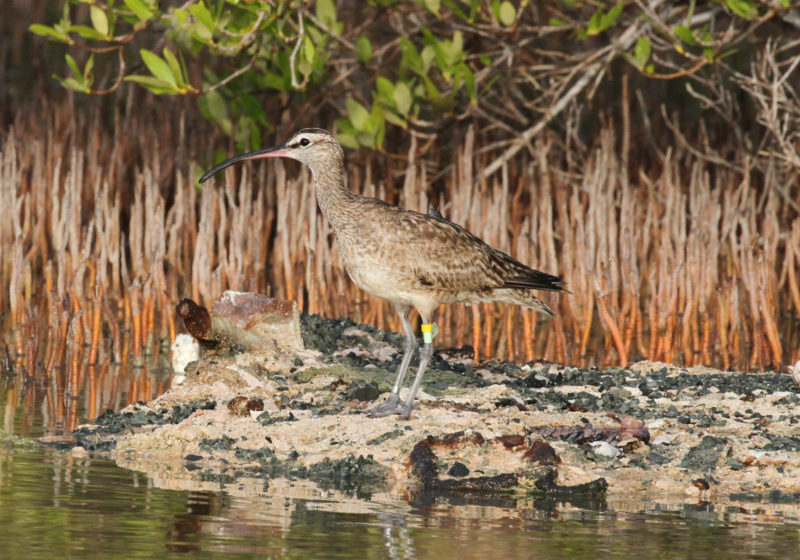 Alex Lamoreaux managed the whimbrelwatch for CCB in 2013 and counted shorebirds as they left the site from May 17 through June 1. A total of 11,329 shorebirds were counted flying over Boxtree dock including 7,260 whimbrel, 1,896 black-bellied plover, 1,139 short-billed dowitchers, 729 dunlin, and 222 semipalmated plover. 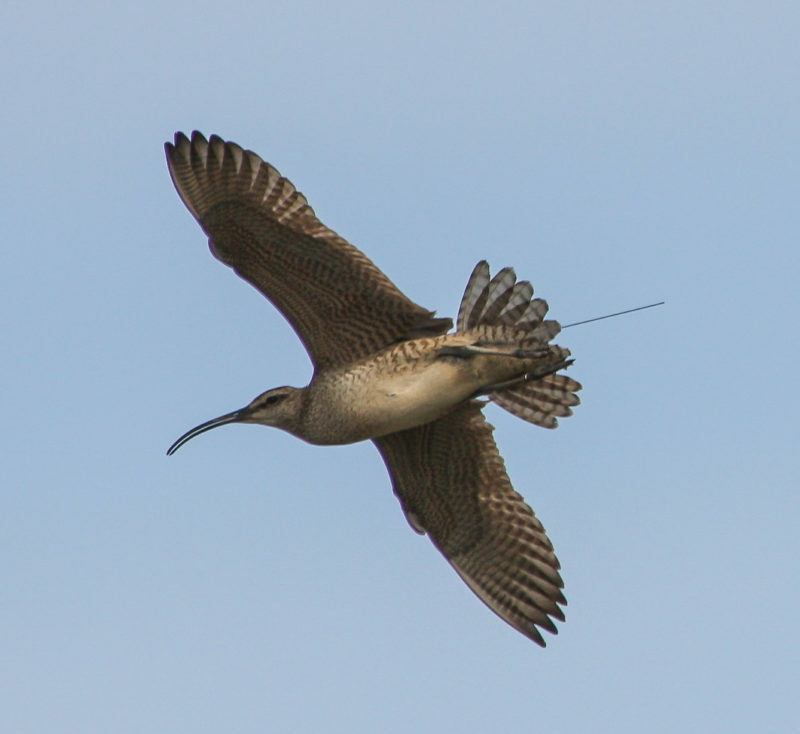 Whimbrel reached a record peak count of 2,492 equating to more than 850 birds leaving per hour on May 26 following strong north winds the previous 2 days. 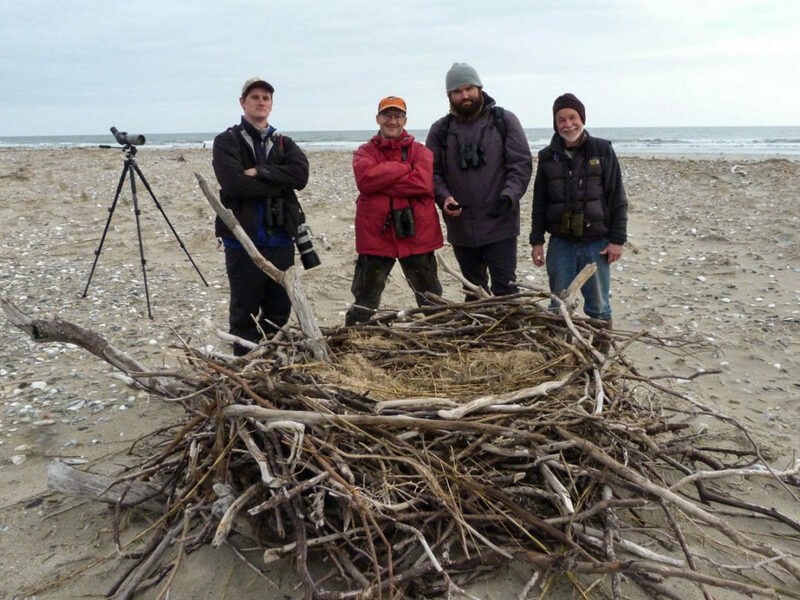 Alex Lamoreaux managed the whimbrelwatch project during the spring of 2013. Here, Alex scans an oncoming flock of shorebirds as they approach the Boxtree dock. Photo by Bryan Watts.